All posts related to "mental health"
Today is the 5th annual Bell Let’s Talk Day, with Clara Hughes leading the campaign inviting all Canadians to talk, text and tweet and share on Facebook about mental health and help build a Canada free of the stigma of mental illness. 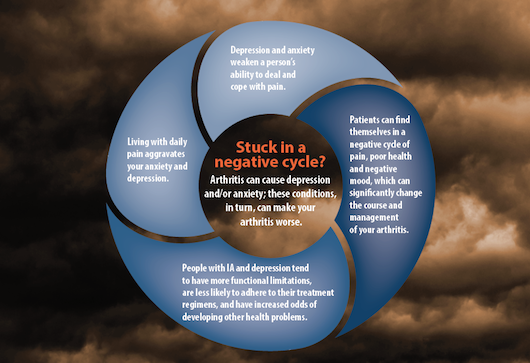 Mental illness is associated with other diseases, one of which is a type of arthritis called fibromyalgia. Fibromyalgia is characterized primarily by chronic widespread pain (CWP) in the muscles, ligaments and tendons, and a heightened sensitivity to touch resulting in pain that can last for months.